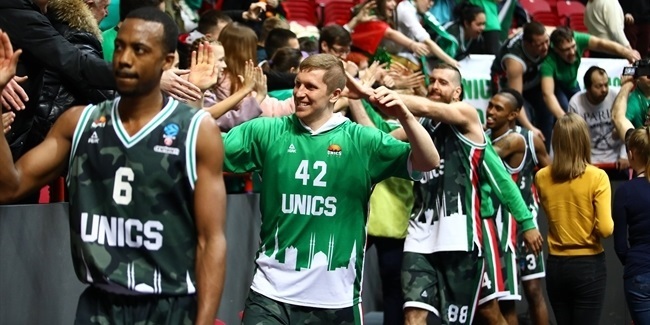 Despite his team getting stopped short of the semifinals, veteran center Stephane Lasme of UNICS Kazan walked away with a single-season 7DAYS EuroCup record for blocks, his specialty, after Game 3 of the quarterfinals on Wednesday. Lasme rejected a dunk attempt by Danilo Barthel of FC Bayern Munich attempt from behind midway through the first quarter for his 45th block of the season. 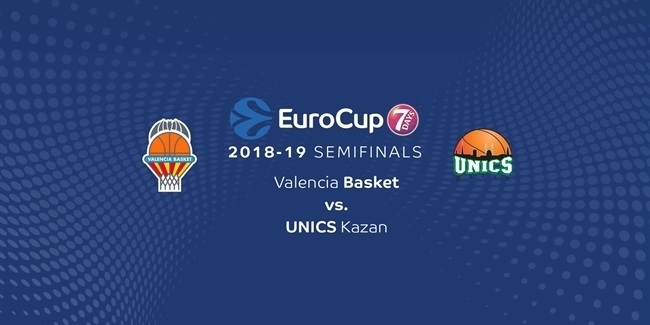 That was one more than the three-year-old record of 44 that was set by current Real Madrid center Walter Tavares when he played for Herbalife Gran Canaria in the EuroCup. Lasme, 35 years old, went on to block Bayern players twice more on Wednesday to set the new bar at 47 for a single season. Lasme, one time Best Defender Trophy winner in the Turkish Airlines EuroLeague, also is tied for fourth place on the EuroCup single-season list with his 33 blocks during the 2015-16 season, when he won the EuroCup title with Galatasaray Odeabank Istanbul. Now, Lasme also owns the highest career average among EuroCup shot-blockers with 1.83 over 42 games. His shot-blocking this season is all the more impressive because Lasme has broken the record in just 19 games for 2.47 rejections per game, the highest average ever in the EuroCup by a player appearing in 15 games or more. 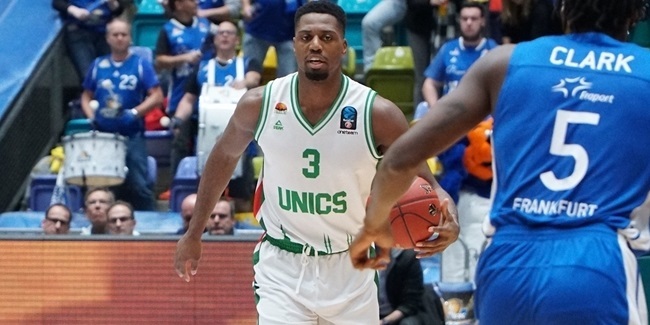 In the end, Lasme's efforts fell short as Bayern won Game 3 on its home floor 91-81 to advance to the semifinals against Darussafaka Istanbul starting next Tuesday.